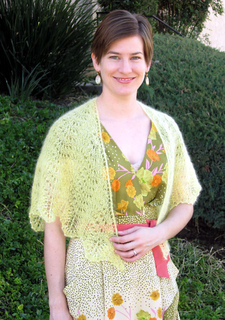 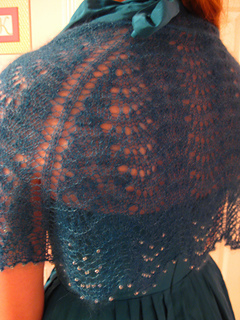 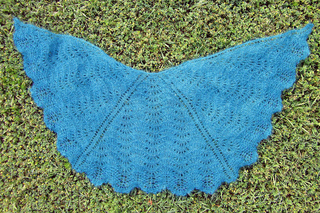 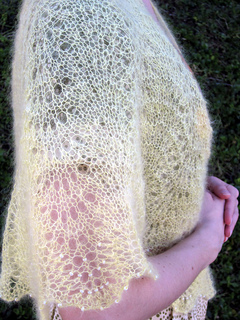 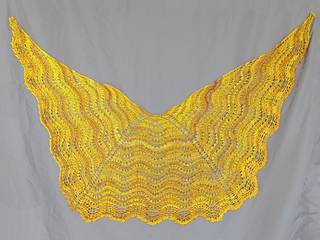 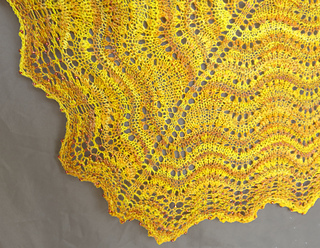 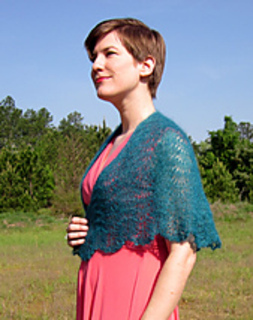 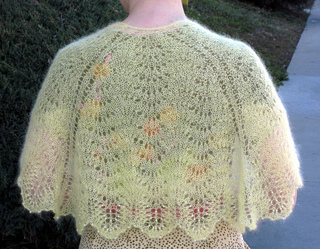 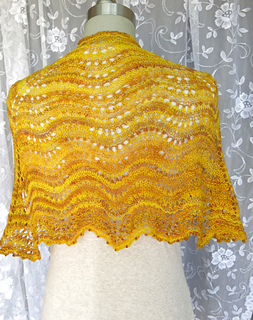 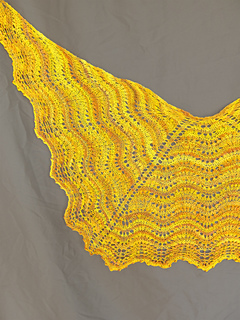 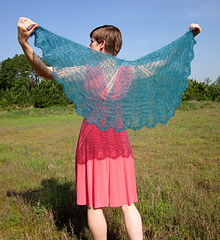 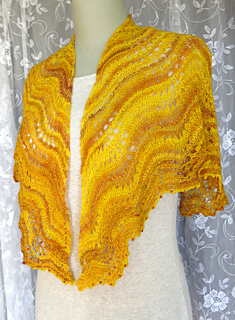 Mariposa Shawl is a feather and fan lace shawl worked in a delicate mohair blend yarn with a beaded border and beaded picot bind off. 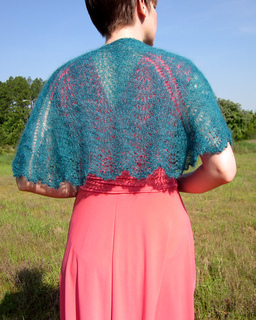 It is worked in three sections creating a shape that drapes nicely over the shoulders. 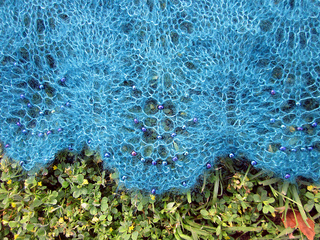 Beads are added into the border and picot bind off to add shine and weight.